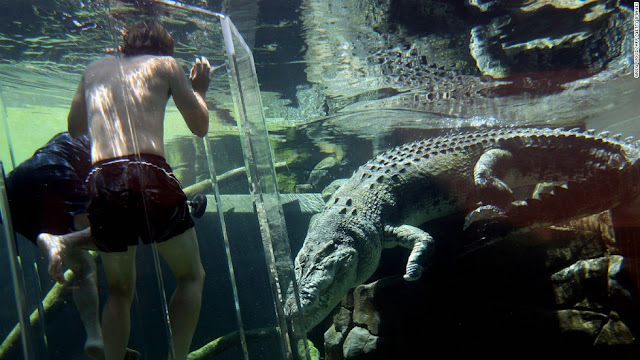 If the idea of climbing into an acrylic tube and being lowered into a pool of 16-foot saltwater alligators is your idea of fun, then you should by all means head on over to Crocosaurus Cove in Darwin Australia, where you can do exactly that. Soothingly dubbed "the cage of death," the tube is large enough to fit two people -- which is fortunate, because I'd need to hold someone's hand. Are you the kind of person who doesn't get a wink of sleep while on a plane? Maybe you should try the Jumbo Stay Hotel in Stockholm, Sweden. The hostel is situated in a retired Boeing 457 whose interior was completely redesigned to include 27 guestrooms, a suite in the cockpit, and a café. 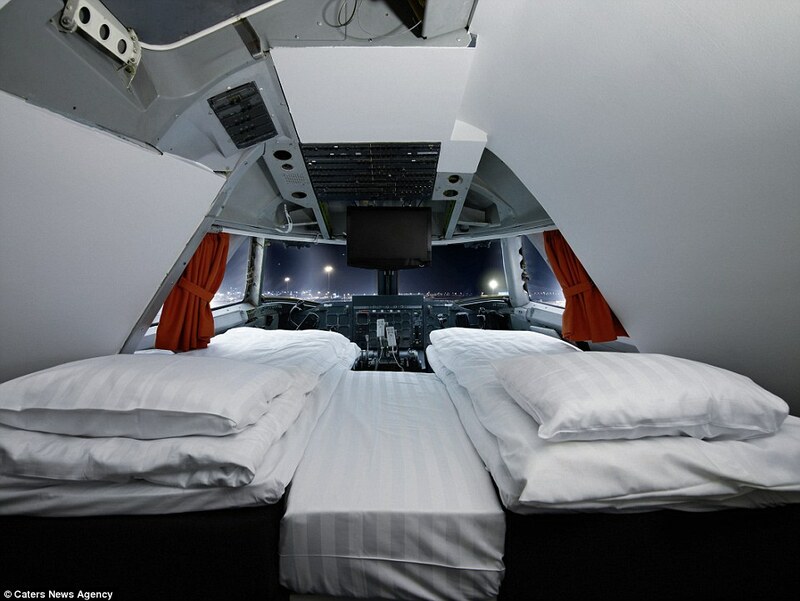 Plus, the hotel is located right outside a real airport, so you can roll out of bed and catch your actual flight with no worries. It may the closest I'll ever come to flying first class. "Oh, another waterfall?" you say. "What's the big deal?" 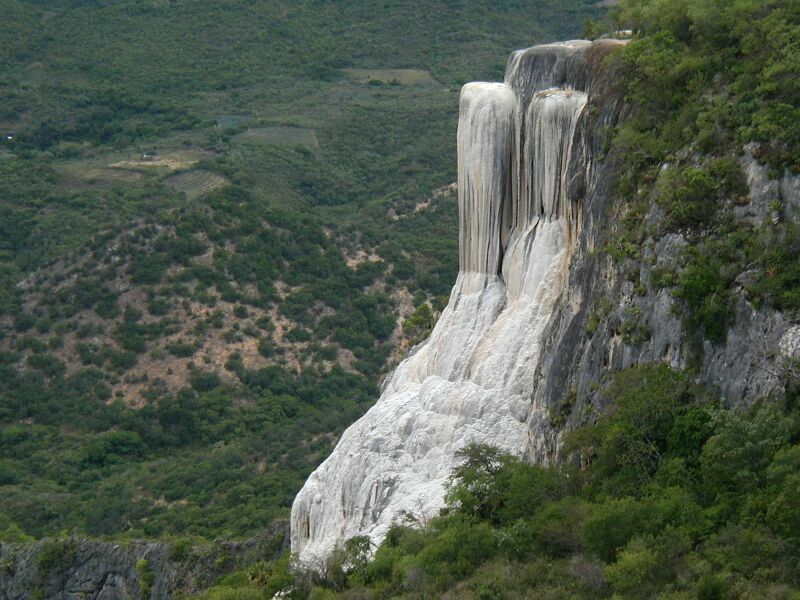 The big deal, my friend, is that what we have here is a petrified waterfall - so not cascading waters at all, but a rock formation in Oaxaca, Mexico, called Hierve el Agua. It was created by fresh-water, calcium-loaded springs over thousands of years. At the top, however, is actual spring water that you can bathe in as you peer over the edge of the cliff. I know where I'm headed the next time I want to feel both relaxed and terrified all at once. In my day, doing a load at the laundromat was something to be dreaded and put off. Now it seems that laundrobars like Spin Laundry Lounge in Portland, Oregon, are the place to be on a Friday night. 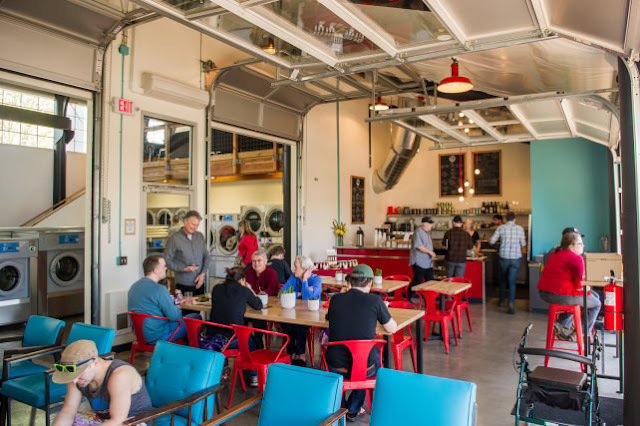 You come with your laundry, stay for a few craft beers and locally sourced menu items, and leave with a pile of clean clothes and maybe some new friends. Gotta love the efficiency. Mountains may be beautiful, but don't you find them a little monochromatic sometimes? All that green can get a little boring, amirite? 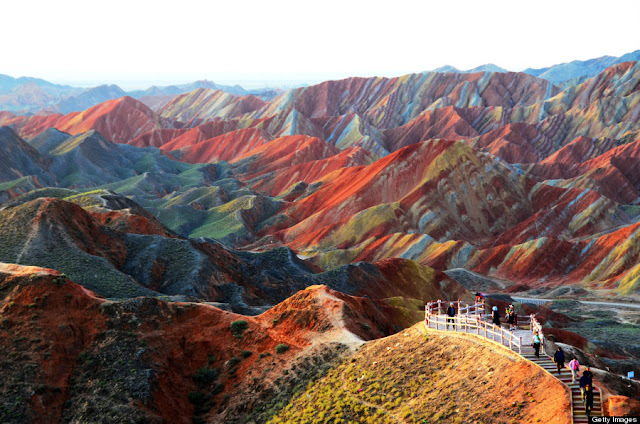 If you're in the market for a more colorful mountain, journey to the Zhangye Danxia Landform Geological Park in Gansu, China, where the mountain ranges are decidedly more technicolor, having been formed by various layers of sandstone and minerals over 24 million years. Go, just go.